Mon., Dec. 19, 2011, 12:19 p.m. I'm on vacation for the next two weeks, and with both kids home from college, was hoping for some family ski days at Bogus Basin, though the forecast isn't providing much to support that hope at this point - Bogus remains closed for lack of snow, as is Brundage Mountain at McCall. So what's a Boise-area skier to do? There are some options. Over the weekend, my family and I made the three-hour drive over to Anthony Lakes ski area in Oregon, just out of North Powder. At the time, they had 32 inches of snow top and bottom and their entire mountain open under sunny skies (today, they're reporting another inch of new snow). It was early-season conditions, with plenty of rocks showing, but the rocks there are big and pretty easy to miss; I only got a few scratches on my rock skis. The biggest surprise: Some rather stunning steeps, amid a variety of terrain. We really enjoyed the area around Tumble Down and Paint Your Wagon runs, to the skier's left of the chairlift, Rock Garden. There's a sunny-side run off to the skier's right, Starbottle Headwall, that softened up by mid-day and offered fun, spring-like conditions. There were four groomed runs, though it's not a place for manicured, Sun Valley-style cruising. Anthony Lakes has a nice little bunny hill, but when we were there, the rope tow on it wasn't working, so the resort was offering free rides up it in a snowcat, to the kids' delight. We saw a number of kids who weren't actually beginners go ski the bunny hill anyway, just to get the ride up. 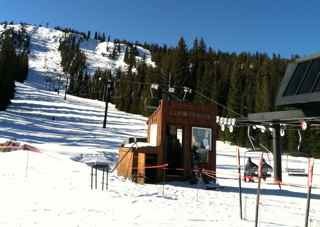 This friendly little resort charges an economical $35 for lift tickets, with a $4 discount for season-pass holders from any other resort; you also need an Oregon Sno-Park pass to park in their parking lot, which costs $4 for a day. Food in the lodge is reasonably priced ($5 hamburgers), and there's a saloon downstairs that attracted a nice day-end crowd and had a crackling fire going in the fireplace; unfortunately, we had to pass to hit the road. Other options in the region: Sun Valley has been open since Thanksgiving, and its extensive snowmaking means you can ski on its famously groomed runs, top to bottom, with 20 inches of snow. Lift tickets are $89. Tamarack Resort near Donnelly is open, and thanks to a snowmaking boost, has 12-19 inches of machine-groomed snow, four lifts and six runs open, and lift tickets at $49. 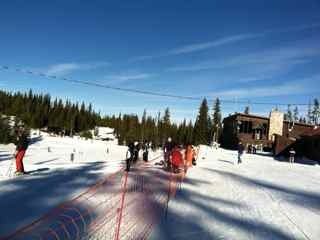 Grand Targee near Driggs, Idaho has a 30-inch base and is now 100 percent open, including all four chairs; lift tickets are $69. 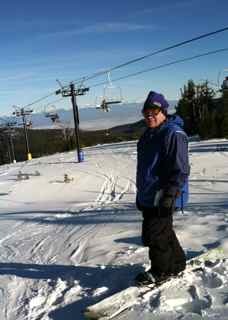 Pomerelle, out of Albion, Idaho, is open with 20 inches at the base and 29 at the top; lift tickets are $35 and there are two chairlifts and a magic carpet. 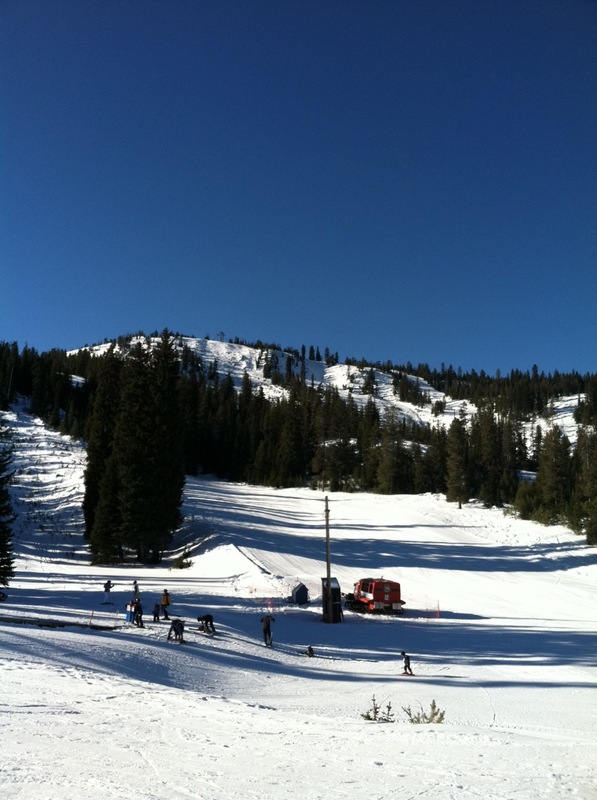 Down in Utah, Snowbird has a 29-inch base at mid-mountain, five of its 10 lifts plus its tram open and $72 lift tickets. Up north, things are looking better: Schweitzer Mountain Resort near Sandpoint has its whole mountain open, with a 32-inch base and 58 inches on top; lift tickets there are $67. Lookout Pass ski area also is 100 percent open, with all four lifts running, a 34-inch base, 58 inches at the top and $37 lift tickets.